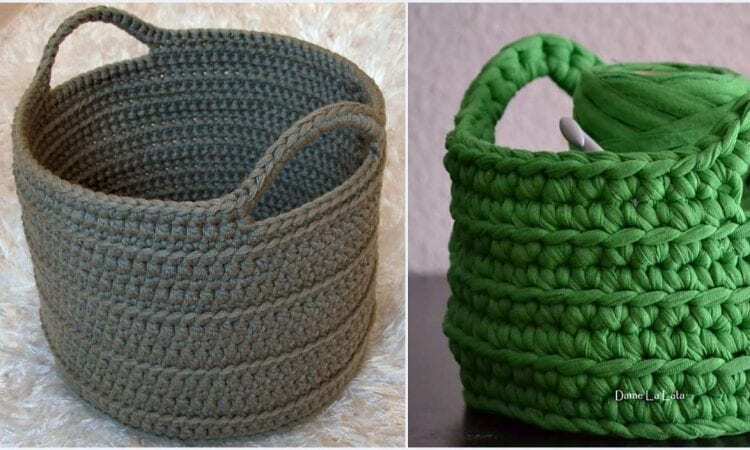 Here is very nearly the ultimate basket to keep your yarns and hooks. This bulky-stitched basked is sturdy and robust, and has amble stiffness in the walls to stay upright. Usually made with thicker yarn, it can be made to work with thinner yarns by using multiple strands at a time, and strongly tightened stitches. Obviously, the stiffer the yarn, the better. More info about Njimle’s project here and Romi-damelalata’s project here.